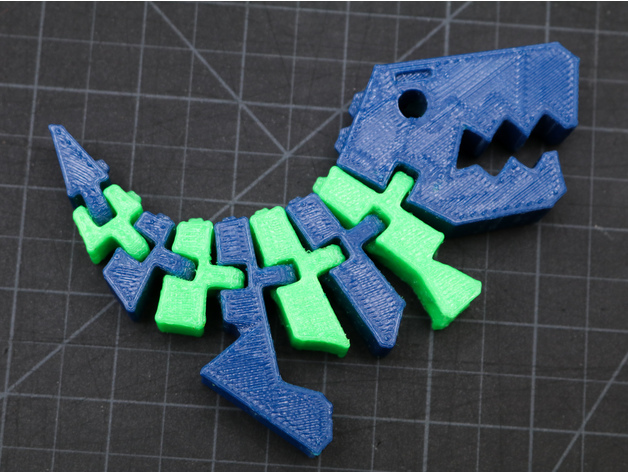 Two Color Flexi Rex Dinosaur #3DThursday #3DPrinting « Adafruit Industries – Makers, hackers, artists, designers and engineers! A two-color version of the Flexi Rex designed for dual extruder (or dual extrusion) printers! Just load the two files into your favorite slicer and print them both out! Printed on a Lulzbot Taz 6 with a Dual Extruder v3 using Polylite PLA filament.